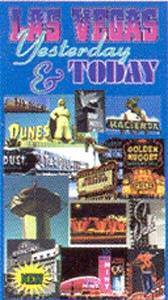 Enjoy a vivid review of yesterday and today of the Las Vegas era. See how Southern Nevada shaped itself over he years. Las Vegas has some very interesting history. See the old Las Vegas. Actual footage from decades ago is the key to holding your attention during this great presentation. FREE shipping within the United States. Regular retail price is $29.95.